While you may know David Burke's Primehouse for its dinner service (as previously reviewed on The Ghost Guest), the River North restaurant recently launched its Prime Spot lunch program. Chef Dino Tsaknis gave the lunch menu a fresh upgrade with a variety of new food options, as well as a revised wine and beer list. The BF and I stopped by for lunch to check out the Prime Spot menu and were quite pleased with the variety of options. If you're looking for a starter, there are a variety of salads and small plates including the classic wedge, or wagyu beef sashimi. 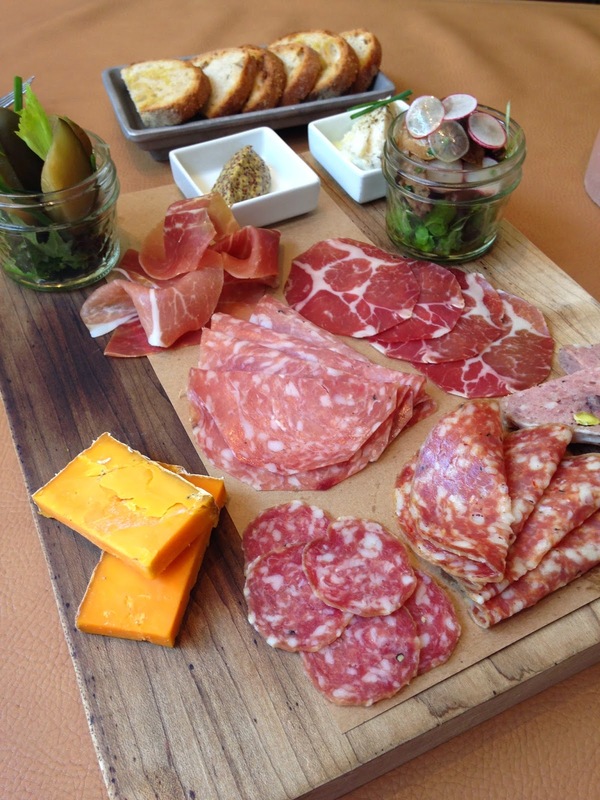 We opted for the charcuterie board featuring a variety of housemade and local meats. The presentation was picture perfect. Literally. I want to make this my laptop background. We enjoyed four types of cured meats, pate, and a wonderful cheddar. There were even house-smoked pickles and mushrooms. This is a charcuterie board to make all other charcuterie boards envious. The Caesar salad at David Burke's is prepared tableside so we thought we'd check out the presentation and split one salad. I'm not sure if it's because I rarely eat Caesar salad or if the salad was truly delicious, but I'm going to lean toward the latter. A generous portion of Parmigiano, anchovy paste, and freshly made dressing didn't hurt. Oh, the best part? We added crab croutons which were similar to tiny croquettes. Why have regular croutons when you can have crab croutons?! The lunch menu features a variety of large plates including a thin burger, turkey BLT, and a ribeye sandwich, among others. Of course steaks are available if you have a big lunchtime appetite. You can order anything from filets to rib eyes, to strip steak. After two appetizers, the BF and I were going to go the sandwich route (also for big appetites, it turned out). 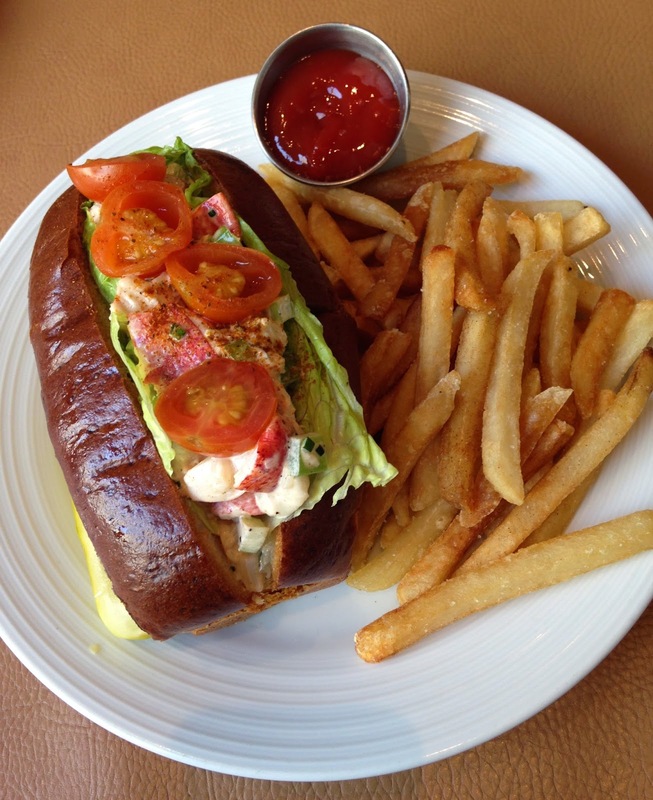 When I saw the lobster roll on the menu, it was a done deal. 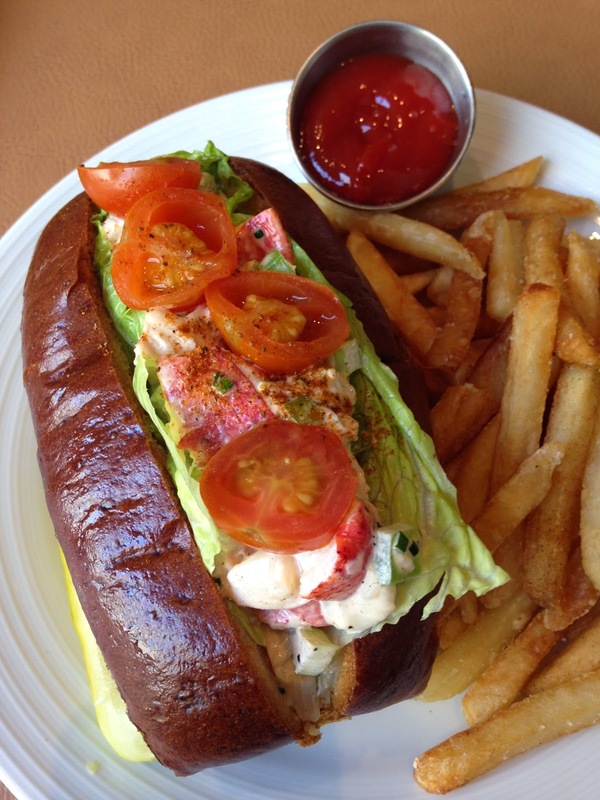 The lobster roll is topped with celery, tomatoes and sits inside a gigantic bun slathered with aioli. While the lobster meat was fresh and sweet and I really liked the bite of the tomatoes, the meat-to-bread ratio was off. There was so much bread that after a few bites I had already eaten the lobster meat and was left with a hollowed piece of soggy bread. Chef Tsaknis mentioned they had tried a smaller bun but it was too small. I also would have loved to have the bread more buttery. Yes. More butter. It was slightly on the dry side so when I took a bite, there was a flurry of toasted bread flakes flying every which way. My advice? Less bread, more butter! The best lobster roll I've had to date was at Boston's Neptune Oyster. It was dripping butter and overflowing with chunks of lobster meat. The BF ordered the porchetta steak sandwich with homemade giardiniera and burrata. The sandwich was HUGE! He could only finish half. The homemade giardiniera was definitely a high point. Super fresh and not too oily. The porchetta itself was super tender, while the burrata was perfectly soft and added a nice salty touch. Although we were not the slightest bit hungry, we decided to order dessert. 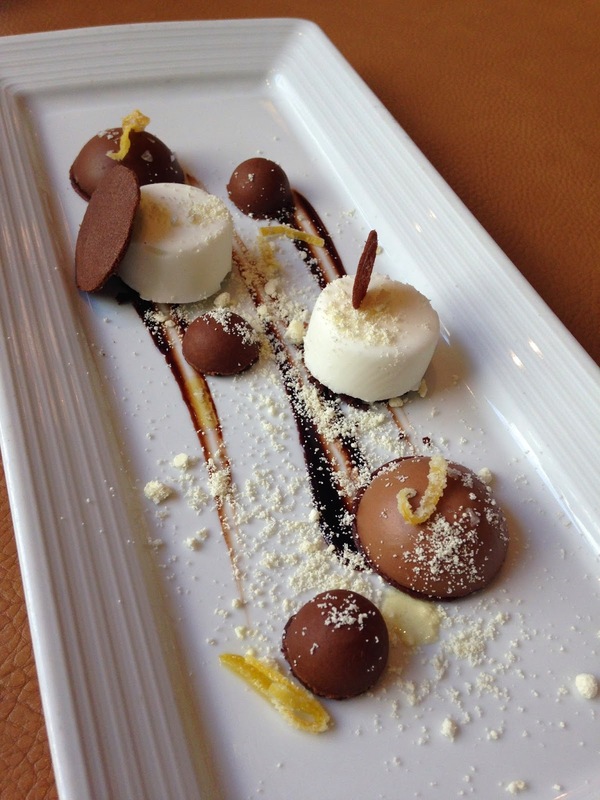 Our selection was the artistically-presented manjari chocolate budino. Each chocolate dome was perfectly velvety and rich, and included a chocolate tuile or wafer. To contrast the richness, there was a lemon granita and candied lemon peel. This dessert also is available on the dinner menu. 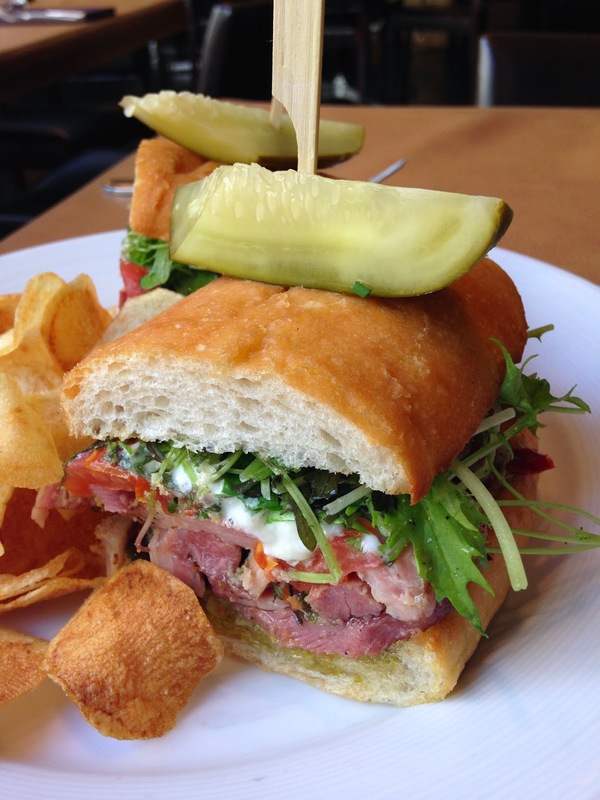 David Burke's Primehouse is a great option if you're looking for a more upscale or substantial lunch. 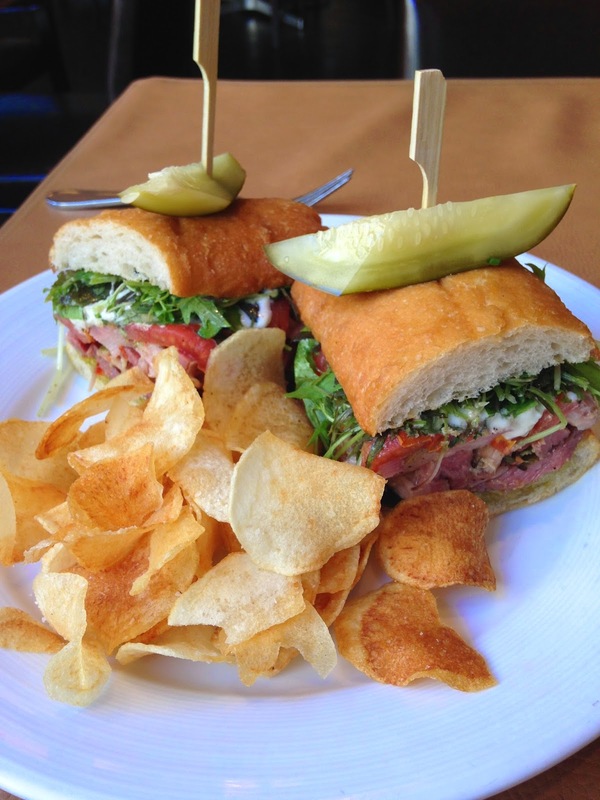 The variety of options on the lunch menu demonstrate they're more than just steaks and spuds. Note: My meal at David Burke's Primehouse was complimentary; however, the opinions expressed herein are my own. I love the Boston lobsta rolls! 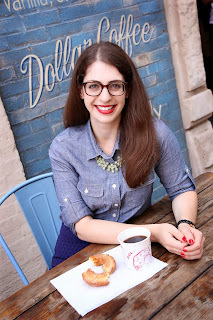 Especially the one at Neptune Oyster. Thanks for the tip! Can't wait to make it back out East!